Political experience: Ran for circuit judge in 2016; member, Alabama Democratic Executive Committee, 2006-2010. 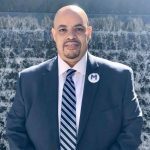 Professional Experience: May Law Firm, 2008-present; May & Green, LLC, 2000-2008; special Circuit Court judge, 2004-present; special District Court judge, 2006-present; has served as judge pro tem for Birmingham, Adamsville, and Homewood; Law Offices of Edward E. May, 1996-2000; Law Offices of Alaric May, 1995-1996; member, Georgia, Alabama, National and Birmingham Bar associations. Education: Bachelor’s, University of Alabama, 1992; juris doctorate, University of Florida College of Law, 1995. Main Issues: May said one of the main responsibilities of the Circuit Court criminal judgeships is punishment, and sentences should be evaluated in each case based on the crime, the impact on the victim and the defendant’s circumstances. But he said the judgeship’s primary focus should be prevention. Top contributors: Earle Law Firm, $1,250; Maston Evans, $1,050; Griffin Law Firm, LLC, $1,000; Iron Workers Local 92 P.A.L., $1,000; G. Courtney French, $1,000; Cedrick Coleman, $800; Christopher Burell, $750; Synetta Allen, $650; Tekiyah Bohannon, $650; Browder Law Office, $500.